Evolution is a funny thing — not “haha” funny, but that kind of funny that makes you think. Take, for instance, a new report from the Royal Botanic Gardens (RBG) at Kew, in London that states that one in five types of plants is at risk for extinction, but new plants are being discovered on a regular basis. Why is that? Despite the fact that 21 percent of plant species around the world is being threatened by extinction — due in part to climate change but also growth of cities — scientists discover new plants pretty frequently. 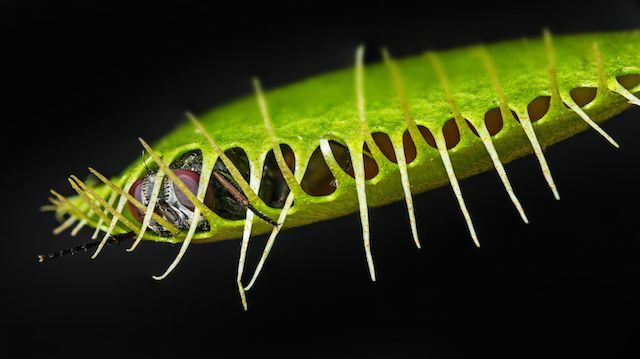 For example, there’s a carnivorous plant that was found on a mountaintop in Brazil in 2015 that scientists had no clue existed before last year. It’s also five feet tall. Sounds like “Little Shop of Horrors” come to life! According to the report, titled “State of the World’s Plants” the top three locations for new plant species are Brazil, Australia and China. In fact, “Brazil is home to more seed plants than any other country in the world and is also a record-breaker in terms of the rate at which knowledge of its flora is growing.” It makes sense: Brazil is geographically huge and home to massive swaths of relatively undisturbed land. Interestingly, the report’s authors found that less than 10 percent of the Earth’s green surfaces demonstrates a high sensitivity to climate variability. The authors note that it’s not easy to determine why plant extinction happens and if it can be blamed solely on climate change, but it appears that most species are pretty resilient. That doesn’t mean that they’re immune to climate change, though. The report also notes that indirect impacts of climate change — new species interactions, an increase or decrease in pollinators, new pathogens and pests, wind dynamics — may have an impact on the Earth’s plant life. It’s also important to note that 10 out of the world’s 14 biomes have experienced a decrease in plant productivity between 2000 and 2013, so even though certain species aren’t going extinct, they aren’t growing like before. Plant life in many parts of the world suffer or disappear when forests are leveled to build homes and for commercial spaces. “There’s a huge change going on, mainly agricultural change and land for urbanization,” said Kathy Willis, Director of Science at RBG Kew. So there we have it. We’re responsible for the current state of plant life, but it’s up to us to stop it, and we can. We just have to work together. Hey Buddy!, I found this information for you: "One in Five Plant Species Doomed by Man". Here is the website link: https://www.thealternativedaily.com/plant-species-doomed-by-man/. Thank you.